After volunteering at events for children with autism conditions, Surfability UK founder, Benjamin Clifford, could see the positive impact of surfing for everyone involved. 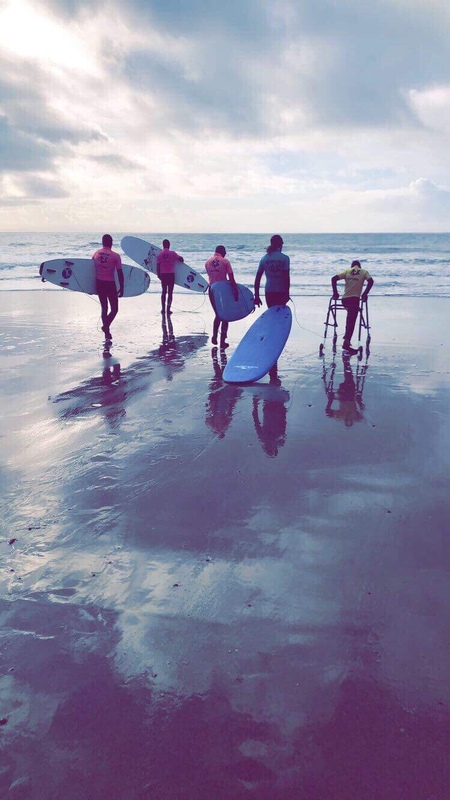 He wanted to start something that would allow people who have additional needs to be able to participate in surfing regularly rather than as a one-off event. So, he helped set up a group for children with autistic spectrum conditions which has been running every week since for nearly 11 years. As Ben expected, this regular participation allowed for the growth of surfing as well as social skills and the group rapidly expanded to around 25 young people. With this experience, he took a job at a special education school and learned to work with and assist people with a wider range of disabilities. When the funding for the post ended, he knew it was time to combine his experiences of surf coaching with his 3 years in special education, to start Surfability UK. Determined to pioneer best practice and to create a truly inclusive surf school, the journey of the UK’s first fully adaptive and inclusive surf school began. To make surfing inclusive can take a lot of specialist equipment, adaptations to coaching techniques and lots of Staff. Ben quickly realised that starting a for profit company structure would be incredibly expensive to set up and run. The burden of the high costs would exclude many of those people who would benefit the most and wouldn’t reflect the ethos of our organisation. A community interest company (CIC) structure, he soon realised, would allow Surfability UK to apply for grant funding to pay for equipment and session costs. This would enable the company to charge a small amount for sessions making them easily accessible for all participants while also allowing generation of funds to reinvest in developing adaptive surfing. He felt that a CIC structure also demonstrated the true ethos of Surfability UK and the commitment to provide a service for the community. It would also help to gain support from volunteers which is vital to the work of the company. Equipment, such as a seated tandem surfboard which allows us to include people who cannot sit or lie down unaided, simply could not be used without our team of volunteers. It takes four people to take one person surfing on this boar. The help of our volunteers means we can keep surfing accessible for all. The decision was made. Together with Nathan John and Benedict Roome, Ben formed the board of directors for Surfability UK CIC and the company was born. Finding the confidence to start Surfability UK CIC was a big obstacle for Ben. With the help of the Princes Trust Enterprise Programme, Ben was able to develop a business plan and learn about the basic principles of business management. The Princes Trust provided a Will It Work Grant to test his idea and a mentor to offer guidance and support through the early days of business. Without the support and guidance of the Princes Trust, the Surfability UK CIC we know today wouldn’t exist.